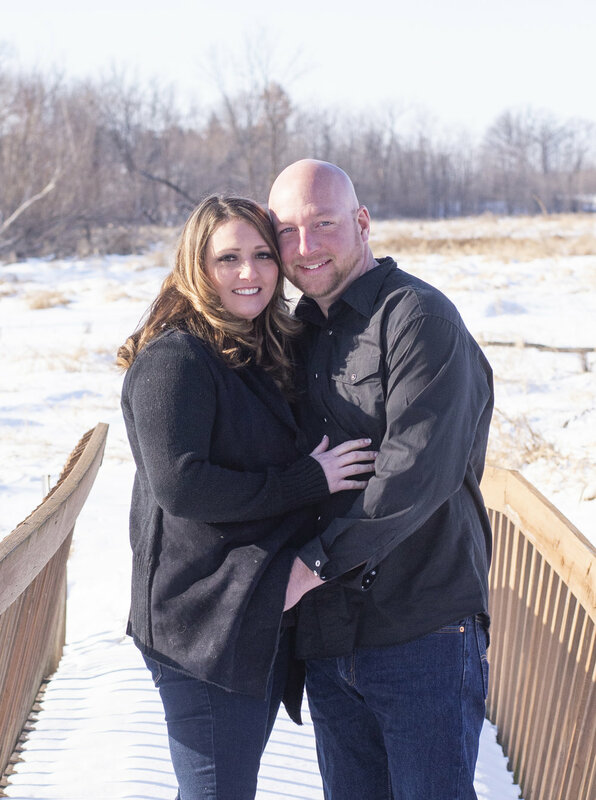 Dan & Nicole Are Engaged! We took photos in their backyard in Stacy, MN, and at Nicole’s parents’ property in Rush City. 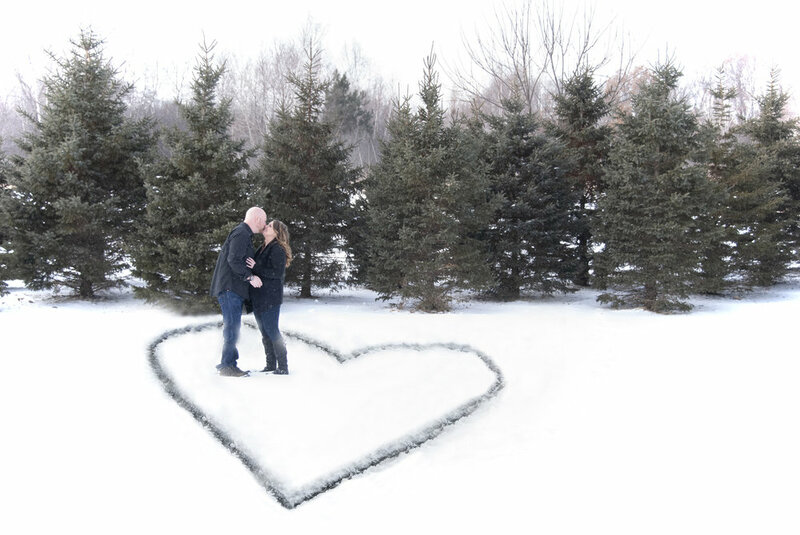 It had just snowed that morning and the temps were above zero (but still in the single digits) so we were out in the elements for as long as we could handle it but we ended up with some great shots! 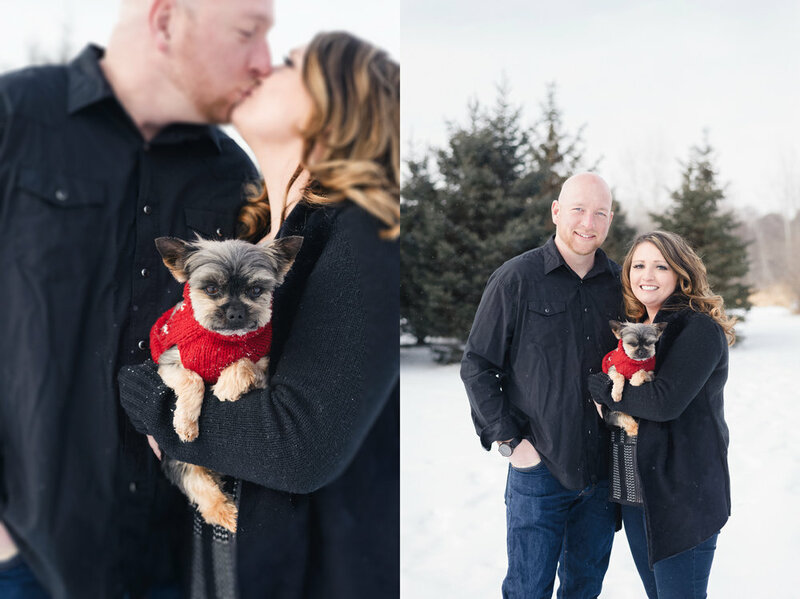 We finished their session inside where it was nice and warm :) Their adorable dog, Tango, was a trooper and took a couple of photos with them, as well! I love when family pets can be a part of the session (and I hope he will have a roll in the wedding this August)!